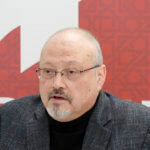 Khashoggi had contributed to the Washington Postand Al-Watan newspaper, and was editor-in-chief of the short-lived Al-Arab News Channel in 2015. He left Saudi Arabia in 2017 as arrests of journalists, writers, human rights defenders and activists began to escalate. In his last column published in the Washington Post, he criticised the sentencing of journalist Saleh Al-Shehi to five years in prison in February 2018. 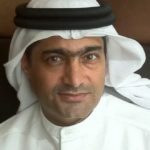 Al-Shehi is one of more than 15 journalists and bloggers who have been arrested in Saudi Arabia since September 2017, bringing the total of those in prison to 29, according to RSF, while up to 100 human rights defenders and possibly thousands of activists are also in detention according to the Gulf Centre for Human Rights (GCHR) and Saudi partners including ALQST. Many of those detained in the past year had publicly criticised reform plans related to Vision 2030, noting that women would not achieve economic equality merely by driving. 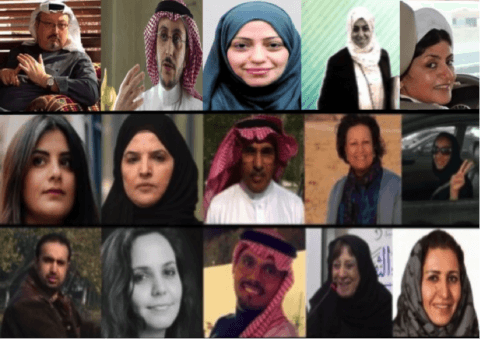 The wave of arrests continued after the March session of the HRC and the UN Committee on the Elimination of Discrimination against Women (CEDAW) published its recommendations on Saudi Arabia. Loujain Al-Hathloul, was abducted in the Emirates and brought to Saudi Arabia against her will on 15 May 2018; followed by the arrest of Dr. Eman Al-Nafjan, founder and author of the Saudiwoman’s Weblog, who had previously protested the driving ban; and Aziza Al-Yousef, a prominent campaigner for women’s rights. On 27 June 2018, Hatoon Al-Fassi, a renowned scholar, and associate professor of women’s history at King Saud University, was arrested. She has long been advocating for the right of women to participate in municipal elections and to drive, and was one of the first women to drive the day the ban was lifted on 24 June 2018. Nevertheless, the arrests of women human rights defenders continued with Samar Badawi and Nassima Al-Sadah on 30 July 2018. They are being held in solitary confinement in a prison that is controlled by the Presidency of State Security, an apparatus established by order of King Salman on 20 July 2017. Badawi’s brother Raif Badawi is currently serving a 10-year prison sentence for his online advocacy, and her former husband Waleed Abu Al-Khair, is serving a 15-year sentence. Abu Al-Khair, Abdullah Al-Hamid, and Mohammad Fahad Al-Qahtani (the latter two are founding members of the Saudi Civil and Political Rights Association – ACPRA) were jointly awarded the Right Livelihood Award in September 2018. Yet all of them remain behind bars. In another alarming development, at a trial before the SCC on 6 August 2018, the Public Prosecutor called for the death penalty for Israa Al-Ghomgamwho was arrested with her husband Mousa Al-Hashim on 6 December 2015 after they participated in peaceful protests in Al-Qatif. Al-Ghomgam was charged under Article 6 of the Cybercrime Act of 2007 in connection with social media activity, as well as other charges related to the protests. If sentenced to death, she would be the first woman facing the death penalty on charges related to her activism. The next hearing is scheduled for 28 October 2018.